Understanding how to practice Vedic Astrology is time intensive. Understanding the terms and definitions used in the process helps. 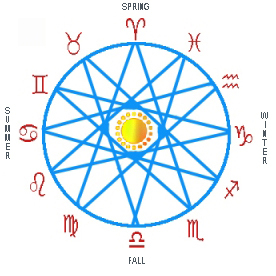 When you participate in Vedic Astrology session, it can also help to understand the terms used. Although, this is not necessary to have a good Vedic Astrology session, as a helpful astrologer can share the information you need without all the jargon. For those interested, the following terms and definitions are most commonly used. Amrita – One of the treasures emanated from the galactic churning. the Eastern horizon at birth. Aspect – The infl uence of a planet directed at another area of the chart. 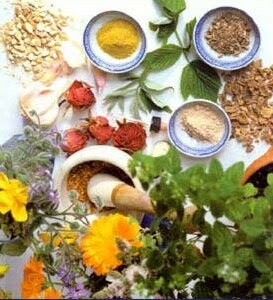 Ayurveda, meaning "life knowledge", is a way of life and medicine aiming at optimal health and well being. Atma – Self. The absolute reality of the universe. Ayurveda– The natural medicine system of India based on the three doshic, or constitutional types called Pitta, Vata, and Kapha. “Ayur” means life and “veda” means knowledge. Bhava – The Sanskrit term for “house” in Vedic Astrology. Bhukti – The 2nd level of the Dasha sequence, after the Mahadasha. Chakra – Centers of life force energy along the spinal pathway. This is also a term used in India for the Birth Chart. weakening the signifi cations represented by the planet. more planets occupy the same house. Cusp – The middle of a house. of the planets within the birth chart. information regarding a person’s career. and has little power to do good. Dharma – One’s duty and purpose in the world. inspired by his studies of the divisional charts of Vedic astrology. a deeper insight into a particular area of a person’s life. arise out of the fi ve elements (earth, water, fi re, air and ether). and when air combines with ether it gives rise to Vata. other than the one in which it resides. Dusthana – The 6th 8th and 12th houses are considered inauspicious. that they are houses associated with sorrow or suffering. parents, ancestral heritage and past life karma. Dwara – Mutable or dual signs. objects and their placements in the sky. change, Taurus, Leo, Scorpio and Aquarius. to be related to wealth. Eastern Horizon at the time of birth indicates the 1st house. The next sign indicates the 2nd house, and so on. Jaimini – Sage and highly respected authority in Vedic Astrology. Jyotishi – One who practices Jyotish. Kama – One of the four goals of human life. Enjoyment. Karaka – Planetary signifi cator for specifi c areas of life. Kendra – Houses 1, 4, 7, and 10. The angular houses of the chart. their importance should never be underestimated. was decapitated. Karaka of liberation. Kundali – The term used in India for Birth Chart. Lahiri Ayanamsha is also known as the Chaitrapaksha Ayanamsha. be detrimental to our health or longevity. the 7th house is 12th from the 8th (longevity). not quite so elevated or as powerful as when in its exultation. Mutable – Mutable (dwiswabhava) signs are variable and adaptable. The Nakshatras, specific to Vedic Astrology, are the lunar constellations. They give deep insights into our soul course. mundane conditions of a person’s life. Neecha – Another term used to indicate debilitation or fall. 120 degrees from the Sun it is considered very good. Pitta – The Ayurvedic dosha ruled by the fi re element. aggravating dosha(s) and particular constitutional weaknesses. Rahu – The North Node of the moon. charts are derived. The Natal Chart. Rising Sign – See Ascendant. inauspicious, this area being referred to as gandanta. Sanskrit – The religious and classical ancient language of India. to as the Shadvargas or six divisional charts. Sign – A constellation of the Zodiac. Tajika – Tajika aspects were expounded in detail by Neelakantha, an Indian astrologer who lived during the 16th century. the 17th century English astrologer. Trik – The 6th 8th and 12th houses are considered inauspicious. they are houses associated with sorrow or suffering. 5 unequal division and lacks any reference to Cancer or Leo. major health issues or periods of misfortune. The Zodiac is the 12 fold division of the sky. Each 30 degree division has its own influence and energy. increase in strength and infl uence with the passage of time. strengthen and improve in quality and infl uence. Vedic – Meaning of the Vedas. Self-revealed knowledge. number would run into thousands.